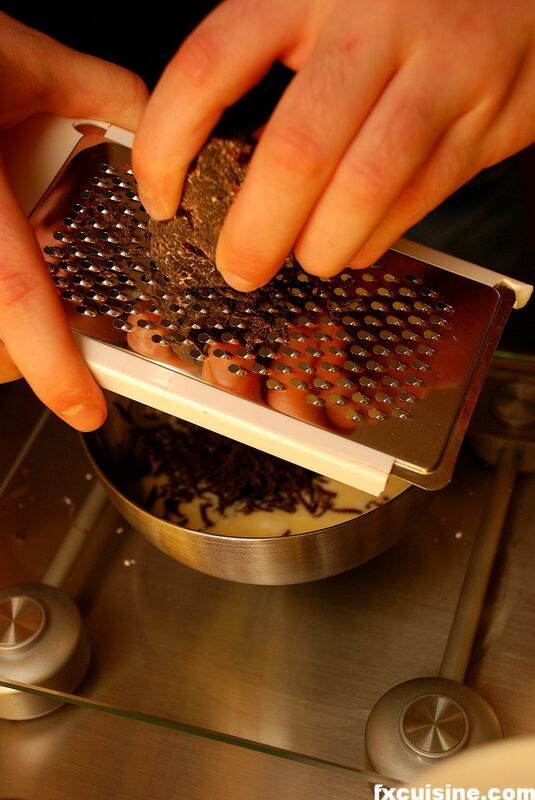 Grating the black truffle in the soufflé. 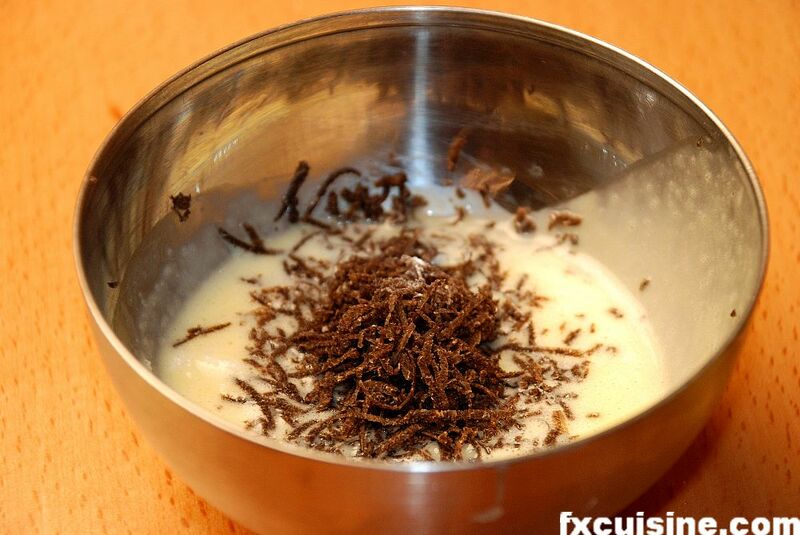 The soufflé with a pile of grated truffle. Mixing everything slowly and very gently. 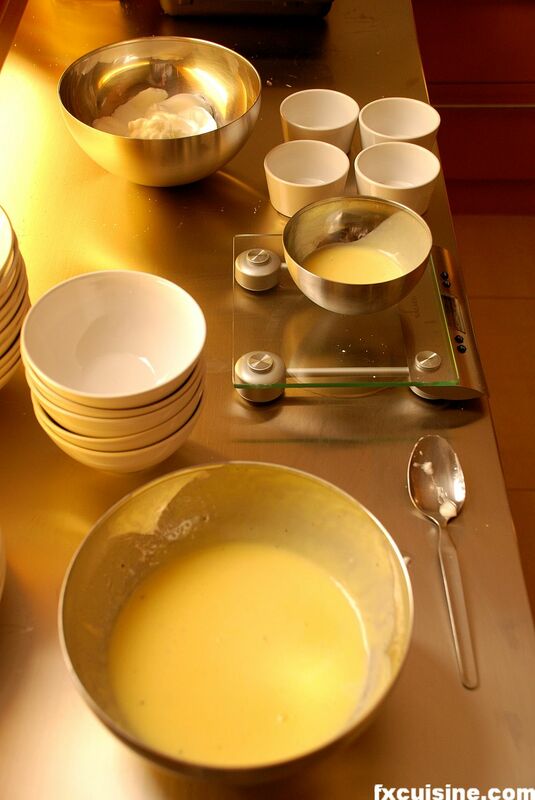 Pouring the mixture into the greased soufflé individual dishes. 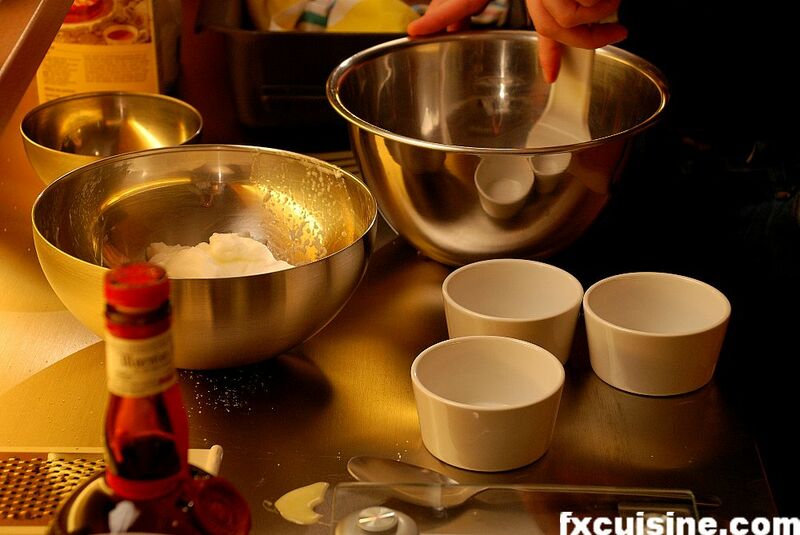 Don't pour too much as the soufflé will rise. 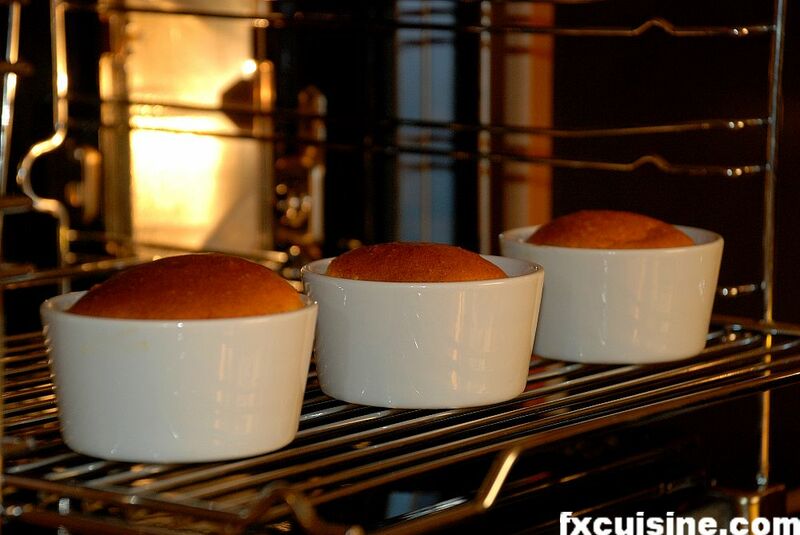 After only 1-2 minutes the soufflés begin to deflate. If you are not ready to serve them, put back in the oven to rise again. I'll try again for even better results, but this definitely belongs to my top 10 desserts. If you decide to visit La Truffière - I strongly encourage you - make sure you get a table in the beautiful 18th century vaulted stone cellar rather than upstairs. Also, if at the end of the meal the waiter asks you if you want to have coffee in the salon, you should know that the 'salon' is the two benches next to the door upstairs. Nice benches but not very intimate. Check them out when you enter and decide for yourself. This being said, the service is lovely and if you don't want to, they won't insist. this recipe at home.Two quick questions, please: What is caster sugar? 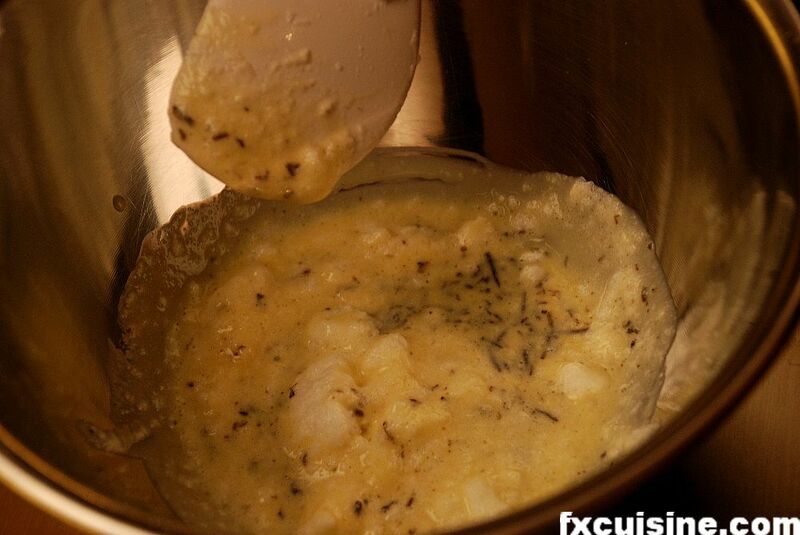 And what is maizena?Thank you so much for sharing your experience--and this recipe! I loved your article. It made my mouth water. I want to try the recipe. I live near the los angeles area. Where can I find black truffles? Hmm , i wonder how it tastes like though, never tried any truffle before. The nutrition lecture of mine told us there's a white truffle in the lab , never manage to find it though. CKfusionist, truffles are just as good as vanilla or Stilton, just way more expensive. If you can't find your white truffle it is probably stale by now. If it is any fresh you should have no problem finding it by nose only! Gorgeous and inspiring. I will try this at home, unfortunately not with the real deal, but rather with a distant cousin in a jar. I am really curious about the fruity, sweet compote served on top. Shouldn't the truffle dominate the flavor? FX's answer→ Yes, but it works. They don't serve it with a sweet compote but with a tart syrup in small quantity. The danger with dessert is to go sickly sweet and a measure of tartness helps balance it out! Great posting! 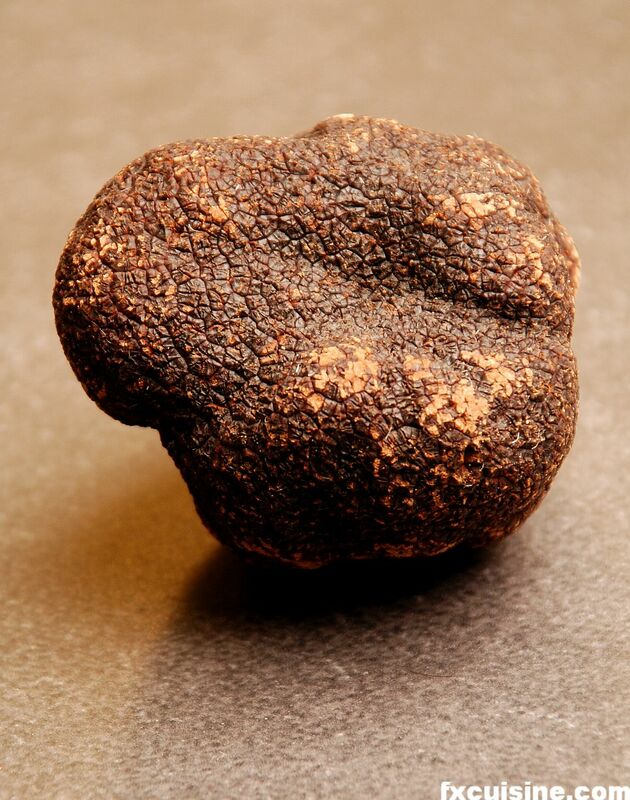 My wife and I will be heading to Paris this Summer - definitely not a truffle season. That being said, would you still recommend this dish at this place ("La Truffiere") ? You mentioned you like this shop better than La Maison De La Truffe - can you elaborate a tad more? Our trip will be short enough that I'd like to make it as effective as possible. FX's answer→ Will I really recommend La Truffière, but la Terre de Truffe is a fine place to sample some truffle dishes too, although I prefer to buy them at la Maison de la Truffe. Why don't you read my article Paris Truffle Dinners and my other Paris articles for more information, this might come interesting! I am going to make this one for sure, thanks! Do you know a reliable on-line store where I can buy black truffles? I've heard of Chinese imitations being sold as black truffles. FX's answer→ Claudia, I wouldn't buy truffles online at all. Just wait until you can buy fresh, very fresh one. Ask a local gastronomic restaurant where they buy theirs. Amazing recipe! 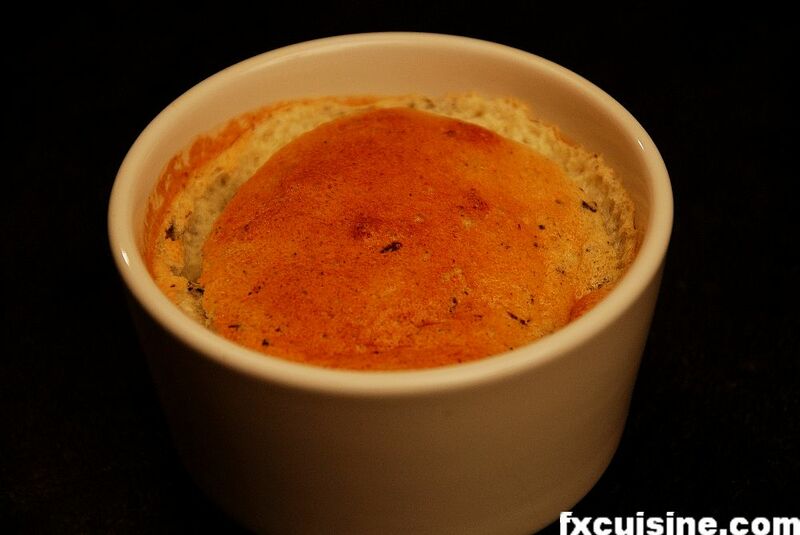 May I know how you plan to incorporate the truffle honey into the souffle recipe? 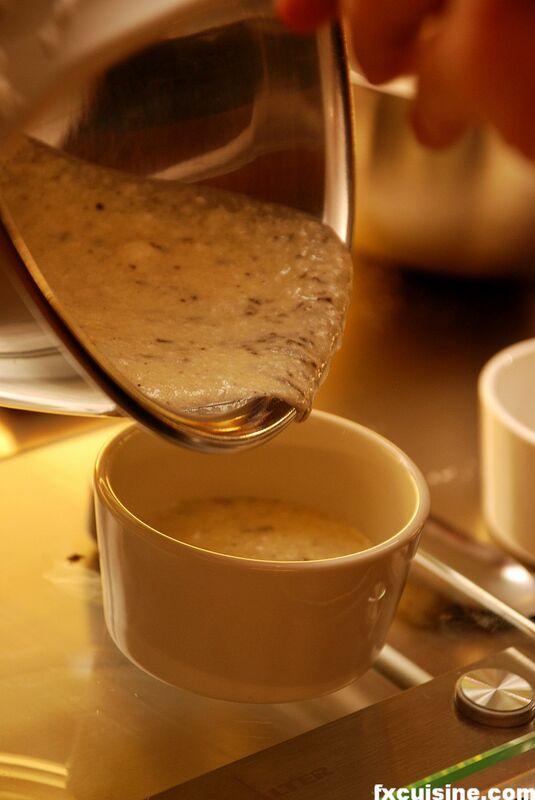 When do we add the truffle honey to the souffle, and how much is needed? Thanks! Thanks for mouth watering recipe. I got the truffle and I'll make it this weekend. I have two sizes of dishes for individual soufflé. What size do you use? 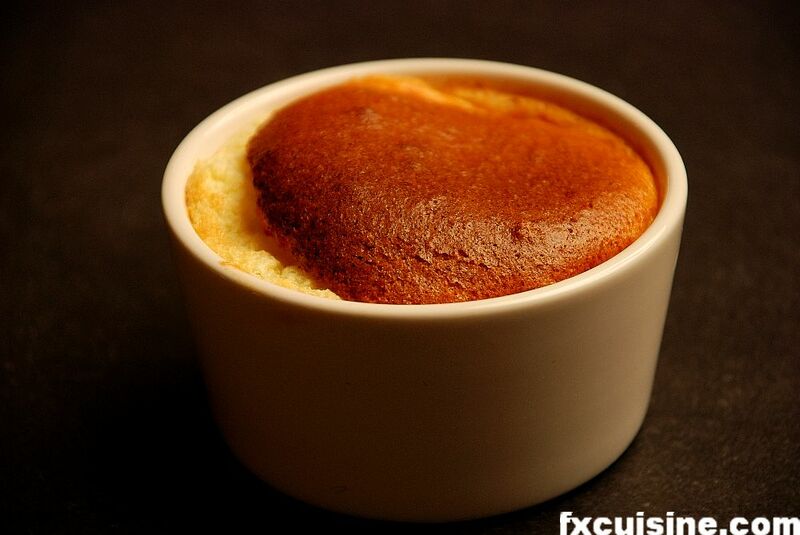 FX's answer→ Dish size depends on the portion I need, not sure how it affects the rising of the soufflé. I loved the recipe idea, need to get my hands on some truffles to try this and truffles with mashed potato. Text-only version printed from http://FXcuisine.com/default.asp?Display=27 - visit the online version to see many gorgeous pictures of this recipe!